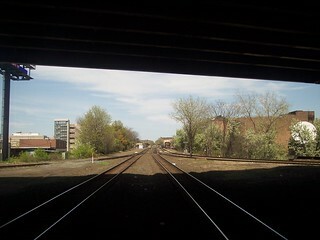 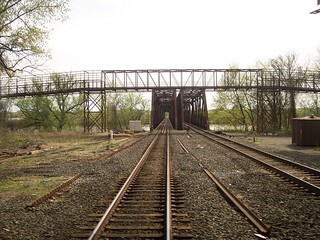 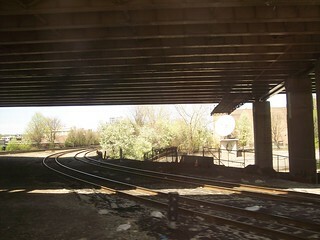 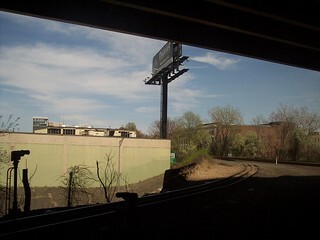 Looking toward the Springfield station. 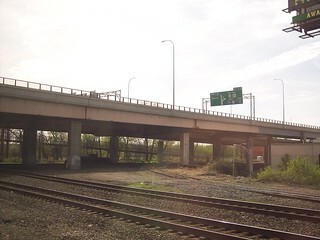 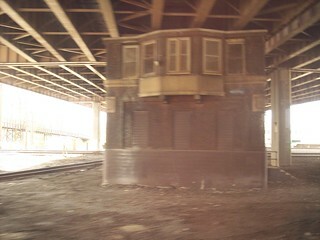 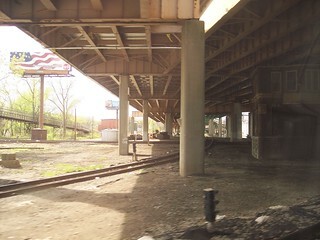 An old tower sits beneath the overpass. 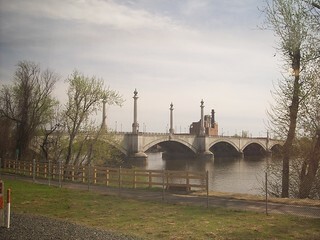 Looking across and toward the Connecticut River. 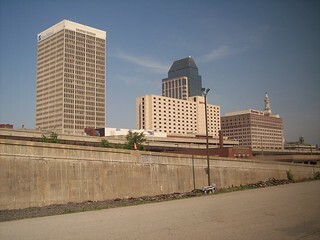 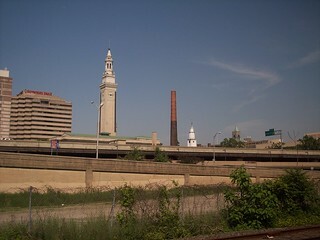 The Springfield skyline can be seen south of the Springfield station.